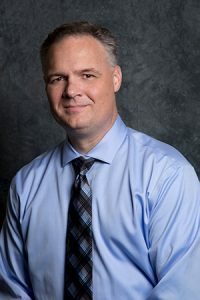 Dr. Randy Mauffray is a Board Certified Ophthalmologist who obtained his medical degree and the University of Mississippi School of Medicine and completed his ophthalmology residency with the US Air Force at Wilford Hall Medical Center. He then earned his fellowship in Oculofacial Plastic and Orbital Surgery at the University of Michigan Kellogg Eye Center. Dr. Mauffray is joining our practice after serving in the United States Air Force for over 24 years. During his time in the military, he served as the Director of the distinguished Center of Excellence for the Medical Multimedia and Oculoplastic Surgeon at the USAF Academy. Recently, he was the Chairman of the Department of Ophthalmology at the Wilford Hall Medical Center and also the Chief Ophthalmology Consultant of the US Air Force Surgeon General. In this position, he supervised the management of ophthalmology for the Air Force Medial Service and the training of all Air Force Ophthalmologists. Throughout his career as a Medical Director for the Humanitarian and Civic Assistance at Wilford Hall, he has participated in over 15 humanitarian mission trips across Central and South America. He was also a recipient in 2015 for the Resident Legacy Award.